Protect your property and the the waterways your community depends on, by installing and maintaining stormwater Best Management Practices (BMPs). You’ll not only avoid fines, you’ll be earning a well deserved reputation. Sweep shop floors, materials processing and storage areas, access roads, parking lots and sidewalks on a regular basis. Do not wash down with a hose. Properly contain and dispose of wash water, sweepings, and sediments. Do not dump wash water or mop water outside or down storm drains. Pour into the mop sink or floor drains. Keep a spill kit appropriate for the materials you use handy and stocked, ready for use. 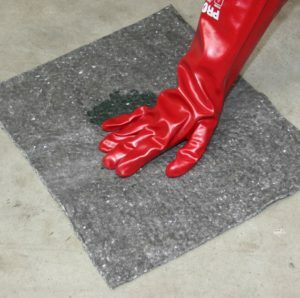 Use absorbent material or containment berms for liquid spills. Always use dry methods to clean spills (sweeping) and never hose down the area. Collect wastes for recycling or proper disposal. Dry sweep paved areas on a regular basis, especially around storm drains. This includes parking lots, patios, sidewalks & dumpster areas. Do not use a hose to wash down pavement. Collect and dispose of debris in waste containers. Do not sweep into the gutter or stormdrain. 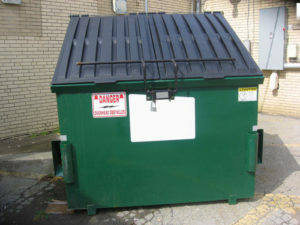 Cover dumpsters and keep them clean to avoid leaks. Check regularly for leaks, and replace if necessary. Never wash down dumpsters with a hose. 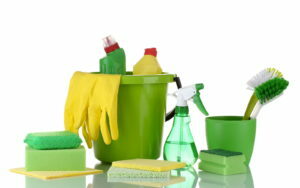 If cleaning is needed, contact the leasing company. Be sure to share this information with your landscaping company or anyone who does work on your property. 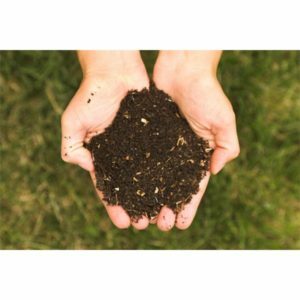 Use organic fertilizer whenever possible. Organic or slow-release nitrogen fertilizer causes less harm to water. Be sure to use fertilizer with no or low phosphorus—phosphorus causes algae growth in water. Limit the use of lawn chemicals and always follow directions. Use the smallest amount necessary. Use permeable materials, like pavers or crushed stone for any “hardscape” projects, such as patios or walkways. Permeable systems allow rain and snow melt to soak through the material, thereby decreasing stormwater runoff. 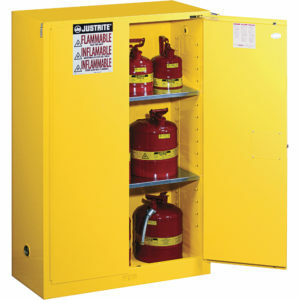 Follow manufacturer’s recommendations for safe use and disposal. Apply at optimal times for the specific application. Hire a WaterSense Certified Landscape Irrigation Professional to review your system at the beginning of each irrigation season. This will help reduce your water consumption, save money, and maximize the efficiency of your system. Avoid over-watering to prevent excess runoff. 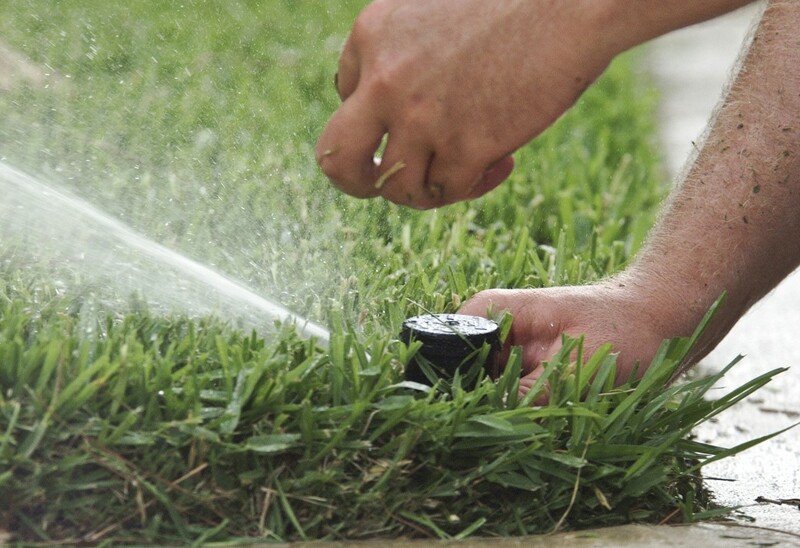 A lawn needs just 1" of water per week to be green. Be sure to check weather reports. Upgrade to a moisture sensor to ensure irrigating only when needed, and avoid using old-fashioned irrigation timers. Don't irrigate in the middle of the day or when it’s windy, in order to prevent evaporation and runoff. Make sure that sprinkler heads are pointed at the lawn and not the pavement - adjust and fix heads as necessary. 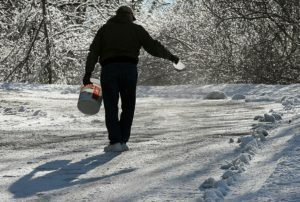 Avoid over-salting in the winter, and sweep up any excess or spills. Store salt in a covered area. Use a product that is non-toxic to vegetation and wildlife. Do not dump snow into a body of water. Store all containers under cover to protect from rain and snow. Close and secure any opened containers.